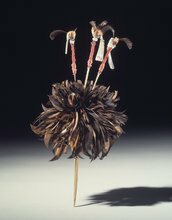 Item number 08.491.8801.1 from the Brooklyn Museum. 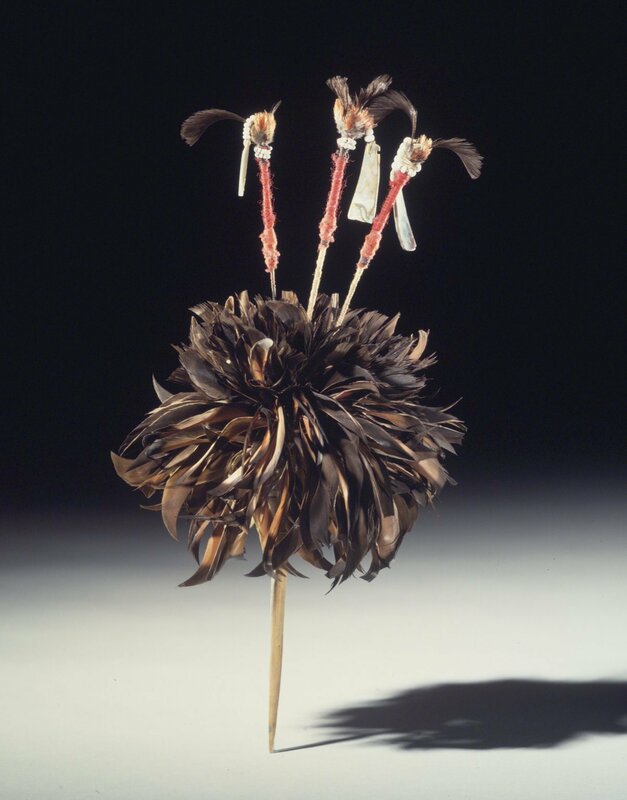 At either side of this bunch of owl feathers are one or two pairs of triple pronged ceremonial hairpins. Wire is used as their base as the desired effect is to make them tremble as the dancer moves.